Sabrina Polak has contributed to the 3rd edition of ‘Child Case Management Practice’ which was published on 6 November 2018 by Family Law Lexis Nexis. 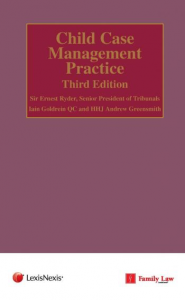 The publication is a practical manual on the Public Law Outline, generating best practice case management documents and providing synopses of the law for all the major applications.  It is designed for use by the judiciary, barristers, solicitors, legal executives, CAFCASS, local authorities, guardians, the Ministry of Justice, experts and the Legal Services Commission. New Court is delighted that Sabrina Polak has accepted an offer of tenancy with effect from 4 January 2016. Sabrina joins chambers having previously practiced on the North East Circuit at Parklane Plowden Chambers, and is a specialist family law barrister with experience in all areas of family law. 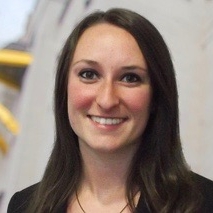 Sabrina was shortlisted for the Jordan’s Family Law Young Barrister of the Year 2015. 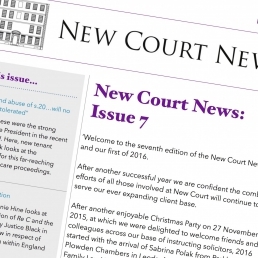 The February 2016 issue of our newsletter, New Court News, is now available for download.